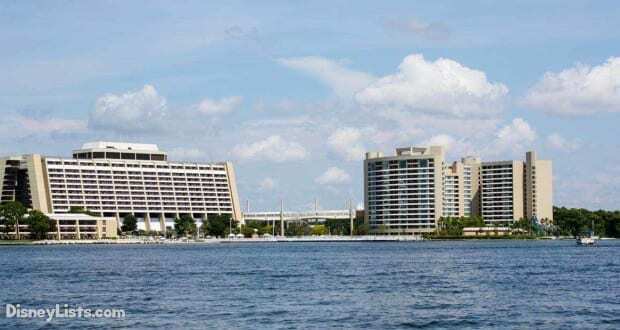 Multiple news outlets are reporting that Orange County Sherriff’s Office is investigating the death of a guest at the Contemporary Resort at Walt Disney World in Orlando, FL. Investigators believe that the death was a suicide and are pursuing it as such. According to eyewitness reports, a guest jumped from the central A-frame tower of the resort around 4 pm. Emergency services responded promptly and police were also called. Monorail service was also suspended in both directions following the death. When asked, a Disney spokesperson refused to comment on the incident or provide any further information. It is important to note that while police believe the death was a suicide, they have not officially stated a cause of death or confirmed details on the victim or the circumstances that lead up to the tragedy. The investigation is currently ongoing. Our hearts and prayers go out to this person and their family. A busy week at Disney World as Disney Springs comes together and more concept art is released. We also got long awaited details on major changes coming to one of Disney Worlds most popular special events. Disney also extended a very popular party and is testing changes to FastPass lines. Finally, don’t forget your chance to win a free trip for your family to Disney World including a stay in Cinderella’s Castle Suite. Guests utilizing the FastPass lane on a number of attractions may notice things flowing a little quicker on a number of attractions. Recently, Disney began eliminating the second touch point where the FastPass and standby lines merge on a number of rides. The elimination of the second touch point is an effort to simplify the process and speed up the line. We had a chance to test this out over the last week and the line did indeed move much quicker and easier. However, while there are often bottlenecks at the merge, the purpose of the second touch point is to eliminate line jumping from the guest going standby. Time will tell if line jumping becomes a problem of if Disney has other ideas to monitor this potential issue. Want to go to Disney World for free? Think it would be awesome to sleep in Cinderella’s Castle (if you answered no to either of those questions seek immediate medical help)? Well, you might just get your wish. Disney Junior has launched the “My Magical Firsts” sweepstakes offering the lucky winner and their family a free trip to Disney World including one night in the Cinderella Castle Suite, tickets and a $500 Disney Gift Card. Register now through April 3, 2016 by clicking here. On the very small, outside chance you don’t win the free trip, we highly recommend booking with an Authorized Disney Vacation Planner to ensure you are well taken care of and get all the discounts available to you. For more details and help booking your vacation, call our travel partners Magical Vacation Planners at (321) 286-5313. You can also get a no obligation, FREE vacation quote by clicking here. Their services are free to you and they can answer any questions you may have. Night of Joy is a two night Christian Music festival held at Disney World every year in early September. The wildly popular event is back in 2016, but with some major changes. In addition to a number of new musical acts, Disney has not only changed the venue, but also completely changed ticketing. Check out all the details here. Construction is well underway on the (much needed) makeover of the Planet Hollywood restaurant in Disney Springs. 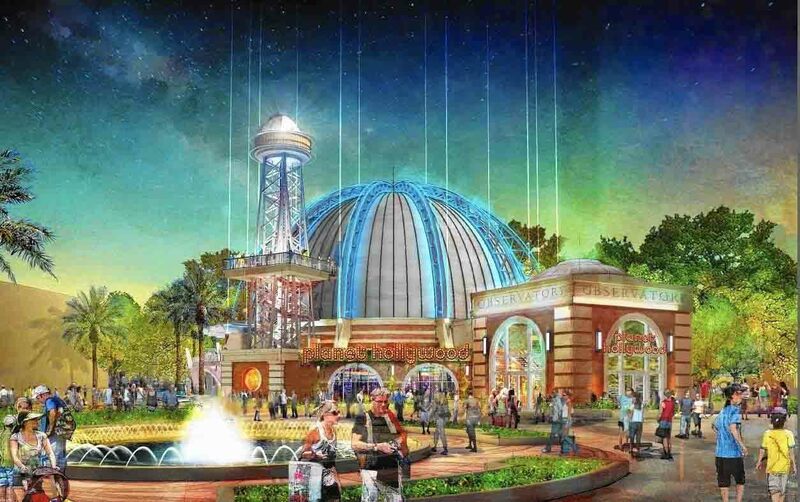 The transformation of the icon building from famously tacky globe to a classy observatory will bring Planet Hollywood in line with the overall theme of the new Disney Springs. 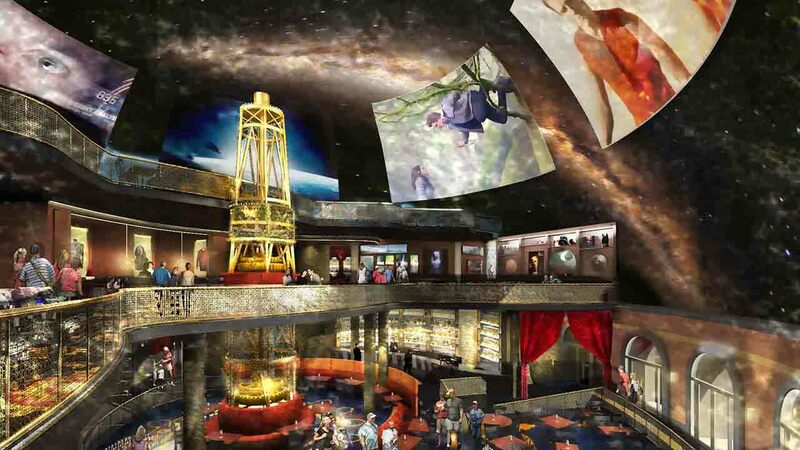 Disney has released concept art giving us a preview of what’s in store when the dining location reopens. Although the building and theme will be radically different, the restaurant will still be operated as Planet Hollywood. No word on whether the food will still be as bad. Club Villain, an extra ticket adult dining and dance party at Hollywood Studios has proven more popular than expected. In fact, popular enough that the offering has now been extended through May. Get more details here. The 2016 edition of Epcot’s Flower & Garden Festival in underway and as always, Disney has put together an amazing experience. While the incredible horticultural displays are the stars of the show, we find that they pair excellently with a little food and beverage. Fortunately, Disney recognized this as well and have brought back their wonderful outdoor kitchens. There are a lot of new items on the menus this year. We decided to sacrifice ourselves for you and test out the food to make sure it was up to our readers’ very high standards. We are happy to report that everything we tried was delicious and a number of items exceeded our expectation. For a full menu along with a number of food photos, click here.